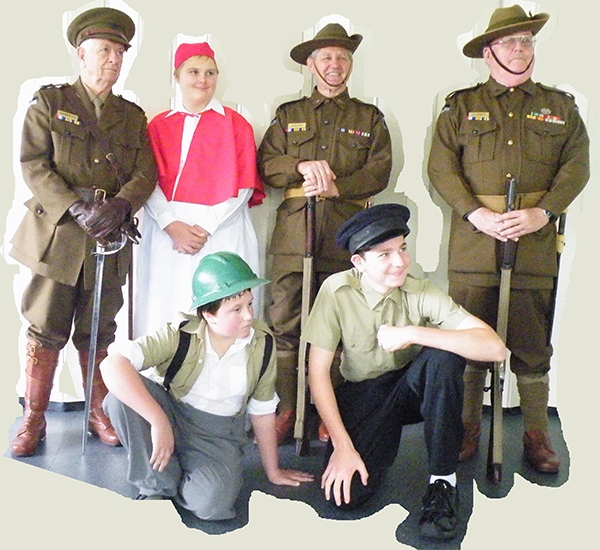 The students from the Maryborough Special School, under the guidance of Arts Specialist Teacher, Rose Wright, have taken on a hugely ambitious production called 1915: the ordinary soldier. But there is absolutely nothing ordinary about the project—in fact, the scale and participation are nothing short of extraordinary. Ms Wright has overseen the project from the research phase in term one, through to the mounting of a major multimedia production, which premiered at Maryborough’s Brolga Theatre on 27 October 2015. 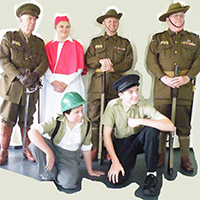 The production paid special tribute to the war efforts of the ordinary men and women from regional and rural Fraser Coast. 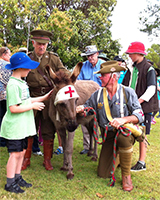 The project was truly a community effort, and involved: the Maryborough Army Cadets, Riverside College, St Mary's College, Fraser Coast Council, Maryborough War Memorial Museum, Maryborough Hospital Museum, Local History Researchers, Maryborough Choral Society, The Brolga Theatre Technical Staff & Production Costume Mistress, Maryborough P&C Committee, Fraser Coast Council, a school full of enthusiastic students with special needs, QAS Women's Auxiliary, and the local 9th Battalion re-enactment group. 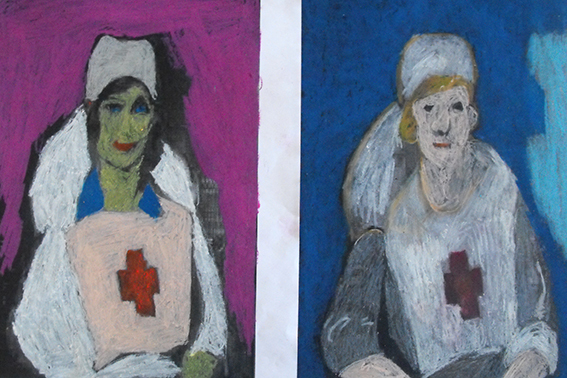 A major challenge of the project was to involve the diverse range of students attending Maryborough Special School. The school population includes students with physical, psychological and emotional disabilities as well as some with multiple disabilities. There are students in wheelchairs, students with extreme autism as well as students with communication issues. Ms Wright was determined to include each and every student. "It took a bit of figuring out how to include everyone. But we did it! We made sure our students were able to participate within their comfort zone. For example, some students with extreme autism made Anzac biscuits. Our signing students with hearing impairment found a place in the technical production areas and things like costuming. We focused on their talents—what they can do, rather than on what they can't," Ms Wright said. The project involved students in the creative areas of dance, media, music, dialogue, credit stills, MovieMaker clips, art, costume design, media and advertising. 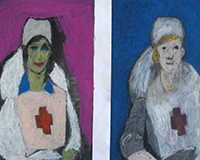 According to Ms Wright, the highlights of the project—which included an art exhibition with some impressive contributions – have been many. 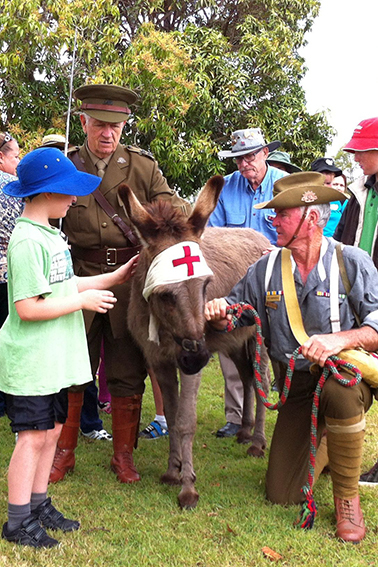 "We've visited some wonderful places, including the Anglican Church bell tower, the local military museum, historical sites and the Maryborough Hospital Museum. We’ve recorded interviews with local people telling their family stories, and we've recorded music, bell ringing, voice overs and scenes for each vignette of the script for the final production. It's so exciting for the students to see it all coming together." The production represents a year of hard work, outside-the-box thinking, and included the dedicated support of team Specialist Teacher Dave McLeod. The combined skills and experience of these two teachers—with Ms Wright as artistic director and costume designer and Mr McLeod as technical director and multi-media co-ordinator—culminated in a truly unique stage experience for the Maryborough community.